It's funny how people's findings can be so different. I've grown your lowest scoring, Pentland Javelin, before and thought they were really good. I grew a few of your highest scoring, Nicola, this year and wasn't impressed. The two favourites I've grown so far are Arran Pilot and Sharpes Express. Saying that, if I tasted potatoes you'd grown, I'd probably have a different opinion because, as you say, even the soil they're grown in can make a difference to the taste. I have tried Arran Pilot in the past Jo and wasn't overly impressed...I have never tried Sharpes express though. It does all come down to personal taste and soil structure and make up. It may be risky putting all your faith in one variety next year. We grow a mix of varieties as if the weather conditions are very different nexy year a different variety may be best. Must say though we grow Nicola every year and like it. I hear what you're saying Sue but if i take that into account then would I grow the ones that I didn't like in the hopes that if the weather was different next year the taste was different..or would I grow something different entirely?? This is the first year I have ever grown a selection...before I have only ever grown one sort and not been happy with them so for now I will just try Nicola next year and see how things go. What other varieties are you happy with?? 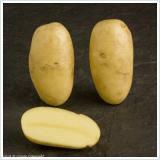 Why not try a new variety each year - this year we tried Vales Emerald as one of our new ones and liked that. We also find Charlotte to be a reliable variety. I suppose I could each year try a different variety...maybe just 5 tubers of something to give it a try....I will have to see how much planting room I have. Thats quite a comprehensive comparison Tanya. Nicola always a favourite of mine. Thanks Craig..like I said in my post though...they may grow totally different for you! Nicola are very good though and as you aren't the first to say it then maybe they are just a fantastic all rounder. Well I've never grown my own potatoes and since I'm not particularly fussy about the taste I always buy whatever is cheapest. 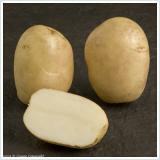 I know I do prefer a russet potato over a plain old white potato though. 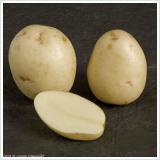 I personally prefer a white potato Ann...but lets face it if we all liked the same thing it would be a boring old world!! My dad would be in heaven seeing all of those potatoes. They were always his favorite food. 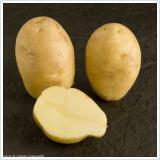 Potatoes are a great veg Ratty...so versatile in the way in which you can eat them! I usually find Vivaldi to be the best salad potato. I only grew main crop this year as I didn't get the plot until late January and of course had to dig it all over. Mum loved the Desiree and I have no idea which whites I grew as they were from a bought bag that had started to sprout, so I just planted them. We had a bit of blight but the Desiree stood up to that quite well and I sprayed with Bordeau Mix. If you have buckets or old bins you can plant some now, keeping them frost free, and they will be ready for X-mas. I always mean to plant some potatoes for Christmas Liz but then time flies by so quickly I miss the last planting....maybe this weekend I will get around to it though..who knows. I have never grown Vivaldi though I have seen them in the stores...maybe it's one I could try for next year. I like Desiree too but this year they aren't a main crop I have grown. 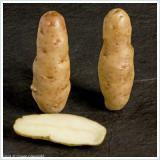 I haven't suffered with blight on my potatoes so far...hopefully I won't have the pleasure I ever meeting Mr Blight!! I like the 3rd picture (nicola). It almost look like the gold potato here in US. This year is my very time planting them, bought from local grocery store...lol. I have to wait and see how they turn out for me. I also planted red potatoes. I hope your potatoes grow well....They are one of the easier things to get going and there is always an anticipation to them as although they may look good or bad above the ground you never quite know what you are going to find once you start digging!! Let me know how they did when you start harvesting. Dear Tanya, I must praise the thought and effort you put into this taste test chart. You are wonderful. 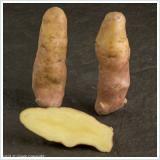 I like the third potato. It looks like the one I buy at the grocery. The Nicola's were my highest scorer Catherine...I guess it's just as well they looked pretty good too! !